I have long been an aficionado of the journey (not to be confused with Journey), the treks taken between a home we love and a home we’ve yet to build. I’ve spent countless miles on mountain passes between my Montana birthplace and eventual homes in other parts of the state, to Los Angeles, San Francisco, even northwest Ohio. These places eventually became, and in some cases still are, home. Journeys are an integral part of the fantasy genre, whether the travels are real or allegory. In my most recent novel, New Charity Blues, I set out to not only examine the pull one feels between an old home and a new one, but the coming of age that accompanies the realization that home is rarely static, and even if it is, the person going there is rarely unchanged from the journey itself. When I sat down to write this book, a reimagining of the Trojan War, I listened to Steely Dan’s Home at Last on repeat. In New Charity Blues, Syd (aka Cressyda) travels from her home in the ruined City to her hometown, a walled-off bastion of perfection in a world trying to rebuild from a post-pandemic disaster. Once there, she finds herself at odds with her once best friend, the seer Cas (aka Cassandra). Home at Last holds lyrical meaning for both characters, a study of Odysseus, so changed by his journey that he can’t bring himself to disembark his ship. I played it as often as I needed in order to remember the aversion to melding worlds and experiences – a commonality for most of us who eventually leave home. I also basked in Amanda McBroom’s Dorothy, a song lamenting the Wizard of Oz heroine’s return to Kansas. In some ways, New Charity, the bastion Syd is pushed toward and enveloped in, is a sort of Oz. It’s a self-sustaining community full of safety and secrets. The magic that once imbued the town now protects the water Syd’s City so badly needs. But she’s torn, too. Memories of home, the assurance of love, the temptation of ease gives her pause – which home is home? Like so many of us from small places, Syd is of two minds about New Charity itself. Listening to Esthero’s Country Living allowed me to remember what it was like to be in a small place, hoping to get out. Syd’s trajectory led her out and up, and, returning, she find New Charity is too narrow and too slow. She misses the sharp angles of the City and the people who had become her family. London Grammar’s Metal & Dust was a beautiful accompaniment to the character’s unrest. These realisations – the pull between the people Syd loves, the town she once knew, and the City she promised to save were served Paul Simon’s beautifully sad Further to Fly. The song, as well as the pull of the characters, are a clear reminder that, though unrealistic, sometimes, it’s only human to want everything. The relationship between best friends Syd and Cas is tested from the moment Syd arrives in New Charity. Cas all at once understands the threat Syd poses to the stasis New Charity has achieved and, at the same time, she begins to think outside the hermetic box of the Sanctuary, a religion devoted to the Spirit of the land headed up by a darkly mysterious Bishop. Though she wants to protect her friend and her home, it seems she cannot do both. She pleads with Syd to consider the consequences of her plans, and I imagine her doing so with Jonatha Brooke’s Because I Told You So playing in the background – a song that soothed me through many a tough conversation over the years. Unlike Syd, whose circumstances of loss and need accelerated her adulthood, Cas is in some ways still a young girl. We meet her looking out over the green hills of New Charity, reflecting on the horizon. In her head, I imagine the Tallis Fantasia playing, the whole thing, from its beginning so quiet you have to sit next to the speakers to hear it to the heartswell at the eighth minute. I know this because I have felt this same swell for a piece of land, a vista, a connection and I think Cas feels it, too. As Cas falters with her identity – once so closely tied to being a twin, I listened carefully to more lush instrumental brilliance within Laura by Phox and Poor Little Me by Eliza Carthy. Cas and Syd’s friendship is further displaced by the romance between Cas’s older brother, Troy. In her capacity as prophetess, she can see the beginning of the end, and, if she knew the song, she’d be singing George Michael’s Cowboys and Angels to both her friend and her brother. As in life, circumstances and characters beyond their control complicate Syd and Cas’s eventual unearthing of the town’s secrets. Syd falls in love and finally allies with Cas. After a night under the stars with Troy, she wakes up knowing what to do. Crafting this scene, I studied the lyrics of Higher Ground by The Weekend Players and Rabbit Heart by Florence + the Machine. The die is cast for the town of New Charity. In the dark moments, which I’ll not spoil here, Nick Cave’s O’Children guided the necessary tears of both characters and the writer. I’m thankful for the opportunity to make arts by the grace of other artists like the ones above – and, of course, the countless others. Though we don’t always know whose lives – whose homes – we touch with our art, it is reassuring to know we are always building another space in which to feel free. 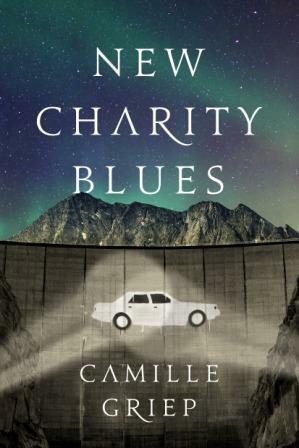 Camille Griep is the author of two novels: Letters to Zell (July 2015) and New Charity Blues (April 2016), both from 47North. Her recent short-form work has been featured in Synaesthesia, The Vignette Review, and Under the Gum Tree, among others. She edits the literary magazines Easy Street and The Lascaux Review and lives north of Seattle with her partner Adam and a spoiled bulldog named Dutch. 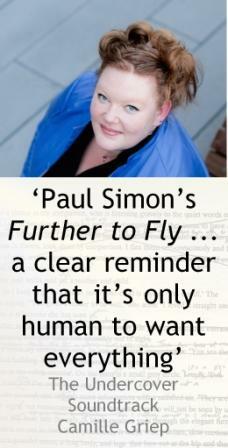 She is agented by Cameron McClure at Donald Maass Literary Agency. Find her on Twitter @camillethegriep or at www.camillegriep.com.